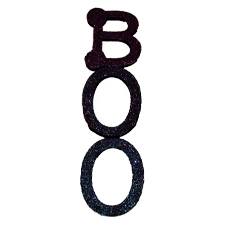 Decorate for Halloween with a festive and sparkling “BOO” sign! 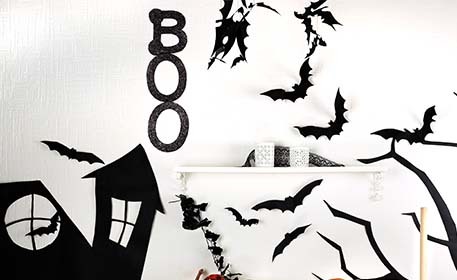 Easy for kids of any age to make, with a great result! Paint the edges of the letters black. 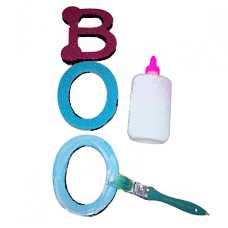 Cover the letters in craft glue or decoupage glue, whichever you prefer. 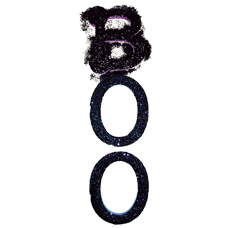 Pour glitter over each letter until they are covered. 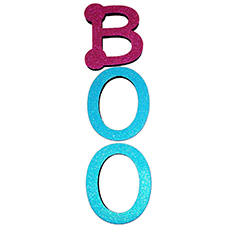 Shake off each letter, and then glue them together as shown!